"The first time I walked into the room I turned back almost at once." Quirky, that is the perfect word for this book. If The Room lasted any longer (approx. 125 pages), I would have picked a less pleasing adjective to describe it. I want to thank the publisher greatly for sending this ARC to me, I enjoyed it more than I thought I would. Bjorn, the main character, is completely on the spectrum and the reader is fully aware of this after a few pages in. He clearly likes to do things a certain way and can't understand why people may live in separate realities from his perfect one. A great example of this was when he sees a drawing his coworkers child has made (primitive drawing of a sun and mound of grass), but he can't understand why she has posted this for everyone to see. He feels completely baffled as to why someone would subject others to looking at something so deplorable. This should give you a little insight into the kind of character Bjorn is, this is also a great way to determine if you want to read this book. Does Bjorn sounds like someone you can spend 125 pages with? For me, it was a resounding YES. I love reading behind the eyes of someone so different from me, even IF they do infuriating things. 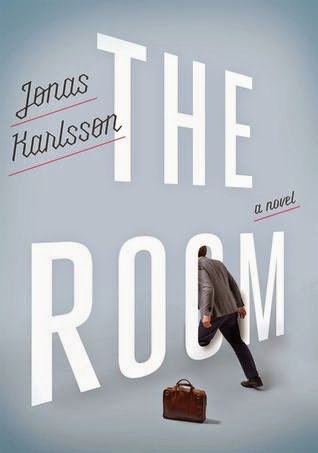 The whole book is set in Bjorn's workplace, has a cast of characters only from THAT workplace and focuses on only the relationships within that office. Again, this might not be for everyone but I really liked it. I thought it brought a little lightness to the topic and was a great setting for someone with OCD/Autism to be driven to the brink of despair. I felt terrible for Bjorn and how his coworkers treated him, he obviously can't help himself... but at the same time, his uniqueness was also the thing that had me laughing for much of the book. I wouldn't call this a comedy or a drama, maybe a dramady? Anyways, I don't have much more to say other than I really enjoyed it, nice and short but completely for me. I like novellas like this and I wish I would come across them more often.